What are the signs that I have plumbing issues in my Orlando home? Some major signs of a plumbing issue in your Orlando home include sewage backup, wastewater spill, broken sewer, leaking or damaged pipes, blocked drains, broken water pipes, broken faucet, toilet or water tub, and lot more. When these happen, your daily activities will be affected. Your home becomes uncomfortable. The best thing to do is to call on the expert Plumbers in Orlando. The Orlando Plumbing professionals at A1 Service Plumbing will provide a fast, effective, and long-lasting solution. How can I extend the lifespan of all my plumbing fixtures and water heater? The best way you can make your plumbing fixtures and water heater serve you for a long period is by installing a water conditioner or water softener in your Orlando home. These water conditioner or water softener will help stop scale build-up. They will also protect plumbing fixtures and pipes, making all appliances that utilize the water in your home operate with increased efficiency. The drains in your Orlando, FL home can become clogged if you are not watchful of what is emptied in the drain. The drain is designed to remove wastewater from your home. Introducing debris, food particle, grease, sludge, oil residue from shampoos, soaps, hair, and other foreign bodies can block the drain. Hence, you are advised to be conscious of what is emptied into your drains. Carry out regular professional cleaning and maintenance of your drains using the services of your reliable Orlando Plumber like A1 Service Plumbing. What can cause my faucet to drip? After prolonged usage, chances are, the faucet in your home can begin to lick. The tap does not close fully anymore, leaving room for little water to drip. The best thing to do is call on your expert Orlando Plumber to replace the faucet. To prevent further occurrences, you are advised to turn off your faucets gently instead of closing them forcefully. What should I do when my pipes are leaking? Once you discover a leaking pipe, the first thing to do is to turn off the water source. 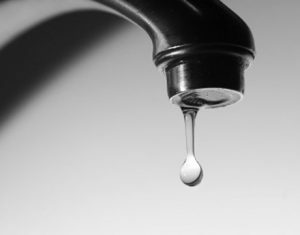 After identifying small leaks, take necessary steps to stop them before they turn into a bigger issue. Stuff towels or rag in the pipe to stop the leak. You can also use a plumber’s tape. After doing the above, call your Orlando Plumbing professional to take a look at the issues, and provide an effective solution. A1 Service Plumbing is always ready to help you solve your minor and major plumbing pipe issues. What should I do when my water heater begins to leak? Turn off the power supply and water source. Make a call to your Orlando Plumber right away. When your water heaters being to leak, it is an indication that the bottom of the tank has rusted. You may need to buy a new water heater since there are no long-term repairs for leaking water heater issues. I have a running toilet, Should I get worried? Apart from the fact that a running toilet can be really annoying, it is also a waste of water. Leaky toilets can cost end up increasing your water bills by about $100 per year. If you notice that your toilet continues running into the bowl after flushing the toilet, it shows some part of the toilet is damaged. Turn off the water source, and stop using the toilet in the meantime. You may need to get in touch with your Orlando Plumbing company. A1 Service Plumbing is always at your service. Our team of well-trained Emergency Plumbers in Orlando will get it fixed.